Researchers at the University of Missouri studied data to determine whether residential populations living near what they called "unconventional oil and gas operations," or UOGs, were at a higher risk for endocrine-disruption from exposure to fracking chemicals. The scientists examined case studies and peer-reviewed publications and concluded that each of the chemicals needed a more intensive case-by-case study when used near human populations. "We recommend a process to examine the total endocrine disrupting activity from exposure to the mixtures of chemicals used in and resulting from these operations in addition to examining the effects of each chemical on its own," said Susan C. Nagel and Christopher D. Kassotis. Nagel, a professor in obstetrics, gynecology and women's health, and Kassotis, a doctoral student in the division of biological sciences, worked with colleagues from across the country to determine the impact of the chemicals -- which have largely not been studied for their impact on the human endocrine system. “More than 700 chemicals are used in the fracking process, and many of them disturb hormone function," Nagel said. Their studies were directed at understanding the human impact of endocrine disrupting chemicals, or EDCs, that were released as a result of chemical spills. This isn't the first study in which Nagel and Kassotis have collaborated with other researchers and found fracking chemicals interfered with metabolic processes. In 2013, the researchers studied 12 substances suspected of being endocrine disruptors, and tracked their ability to block or mimic female or male hormone activity. 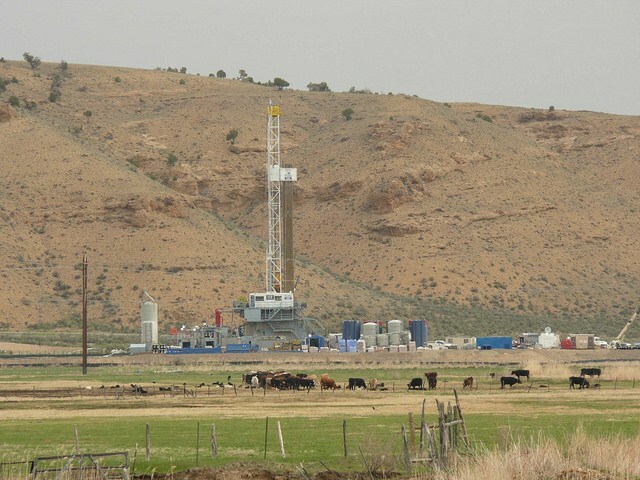 They used surface and ground water from well sites in heavily-impacted areas in Garfield County, Colorado, and compared them with the results from water in areas in Colorado and Wyoming that did not have a high density of drilling sites. By doing so, they were able to determine that the water samples at drilling sites had a higher level of endocrine-disrupting chemical activity that would not normally be found in the water table and ground water. What is more, the Colorado River, the adjacent drainage basin for the Garfield County drill sites in western Colorado, showed evidence of EDCs as well, which means that populations that rely on its water source as far away as California (a main recipient of the Colorado River's water source) could potentially be exposed to the chemicals. Drainage basins near areas that didn't have wells did not show levels of these chemicals. The team determined that areas which had experienced spills were at a higher risk for contaminating water sources and exposing populations to endocrine-disrupting chemicals than those areas that did not have wells or employ these chemicals. The Environmental Protection Agency has been exploring a number of steps to improve protections against health and environmental impacts of fracking. To date, there are no established federal regulations addressing the potential exposure and health impacts of EDCs through fracking, and fracking spills.